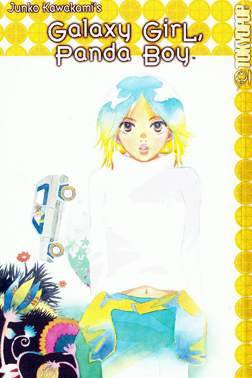 Back in 2005, manga publisher Tokyopop rolled out a new imprint called Passion Fruit, promising "an innovative, edgy line of manga which reflects the emotional condition of humanity in its moment of creation and procreation." After publishing just two titles in May and August of that year, Tokyopop quietly plucked Passion Fruit from its offerings. 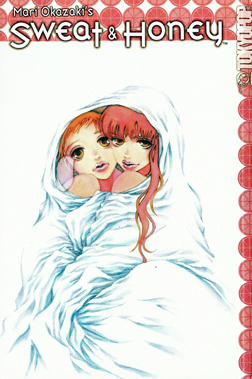 Both its debut and its finale passed relatively unnoticed, and it wasn't until a question posted on Tokyopop's online forum in early 2006 that the company confirmed the label's demise due to low sales. Tokyopop also issued notice on March 30 this year via Publishers Weekly magazine that the Passion Fruit manga are officially out of print. It seems a sad fact that any attempt to introduce such edgy stories are doomed to failure in the U.S., where more flashy and action-oriented series such as "InuYasha" and "Naruto" prevail. We want instant gratification, a feast for the eyes with just a dollop of philosophizing. The artists and writers introduced in Passion Fruit go off the other end -- sometimes way off the other end. They use quiet and rambling reflection to introduce the harsh realities that jolt us out of our comfort zone, those truths that we would rather bury in glitter and glamour than getting burned by their glare. But then, perhaps Tokyopop was hedging its bets -- the company's manga editor revealed on the forum that only four titles had been planned for the imprint. The first Passion Fruit volume, "Sweat & Honey," by Mari Okazaki, certainly lays the foundation of the label's promised edginess. Nearly all the stories explore the supposed "other half" of female passions -- the side that deals with the apparent desire for sexual contact with other females. The longest story, "The Land Where Rain Falls," goes through a little bit of everything. High school student Kumi Nishiogi brings homework assignments every day to her friend Kaya Matsuo, who for some reason stopped coming to school after the summer. But sensual Kaya seems to have certain other things on her mind lately when Kumi visits, and the girl is only more amused by Kumi's shock. The fact that Kaya's brother, Takeshi, has to pass through her room to get to his puts a wicked twist to Kaya's plans. School problems, friendships and romance also come into play in this confused tale. Kumi is at first headed toward some kind of mature mentality, but then figures that playing "girls' games" and trying desperately to hang on to her compromised innocence are more preferable. Perhaps I'm in the minority when I say this or maybe I'm denying my secret desires, but more than anything, reading "Sweat & Honey" makes me wonder: Do teenage girls and grown women all truly long for another female's touch as much as these stories try to say? Or is this meant to be pure fiction, an overblown narration popping from the smallest kernel of truth? Or maybe "Sweat & Honey" simply tells us that no matter what point we're at in our lives, whether we're male or female, we always need another person's touch -- an intimate, familiar hand that lets us know we're loved and still have some kind of importance in this fickle world. IN CONTRAST, the stories in the second Passion Fruit volume, "Galaxy Girl, Panda Boy," by Junko Kawakami, are far easier to digest. They're the usual stories about self-acceptance and romantic pitfalls whose familiar themes, while cliché, are also much easier to grasp. The four-part "Club Hurricane" is the typical coming-of-age story. Andrew and his twin sister Rose are sent to an isolated boarding school after their parents separate. The 13-year-old boy thinks their father is simply dumping them off so he won't have to deal with them -- a feeling that intensifies after Andrew meets the hippie principal and some of the students. Rose also falls silent, refusing from the moment of their arrival to speak to her brother or to anyone else. In such a foreign environment, severed of any support and almost any connection to the outside world -- someone changed the password to his e-mail account, and the nearest town is several miles away -- Andrew's only thoughts are for his former life. Although he isn't shunned by the other students, he maintains a mental shield and dismisses the kids as simply weird people he just can't understand. It's only during a near tragedy at a school camping trip does Andrew finally see the inherent caring of the others and realizes that he's not as alone as he thinks he is. Andrew's uncertain drifting makes "Club Hurricane" into another story that doesn't really know where it's headed and can't figure out where it ends. But he does understand just a little bit that his lack of understanding is a painful part of growing up -- and in any coming-of-age tale, one small realization that pushes the child just a bit more toward adulthood is enough. While it's a shame that the Passion Fruit imprint withered before realizing its full potential, it certainly shouldn't preclude the publication of similar stories. According to company officials, the third book that was supposed to be part of the imprint was scrapped after plagiarism concerns, and "Dolis" was scheduled in its place, but Tokyopop instead published it outside the line. "Dolis," by Maki Kusumoto, is still listed as in print, so track it down if you'd like more manga in the vein of Passion Fruit.